Ahead of this weekend's Academy Awards, one more Oscar-nominated animated feature comes to town, along with an odd assortment of multiplex offerings for a traditional box-office dead zone. 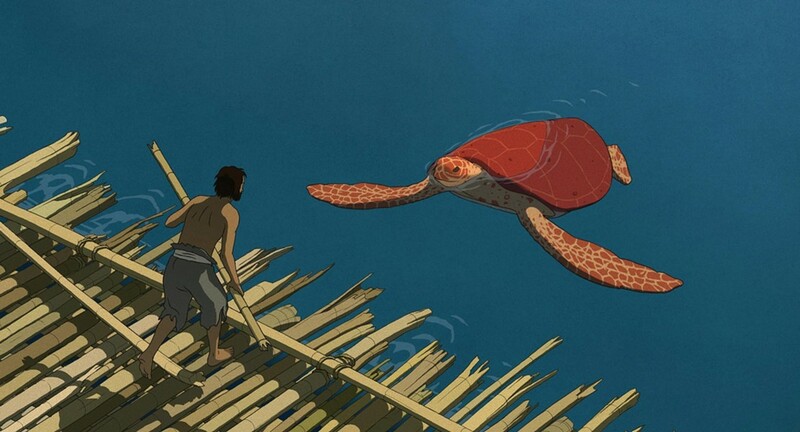 The Oscar-nominated animated feature The Red Turtle (pictured) might come from Studio Ghibli, but brings a unique style to its emotional, nearly-wordless story. On the other end of the animation spectrum, Rock Dog serves up a jokeless parade of slapstick and action beats in a familiar plot package. Bitter Harvest turns the fact-based story of the 1932-33 Ukrainian famine/genocide into a bland romantic melodrama. Eric D. Snider notes the breezily-paced, mildly ludicrous but perfectly watchable appeal of the formulaic action thriller Collide. In this week's feature review, Eric D. Snider praises the distinctive mix of satirical comedy and genuine horror in Jordan Peele's Get Out.